Study aims to explore and evaluate the impact of an informative pre-operative DVD following routine day surgery. 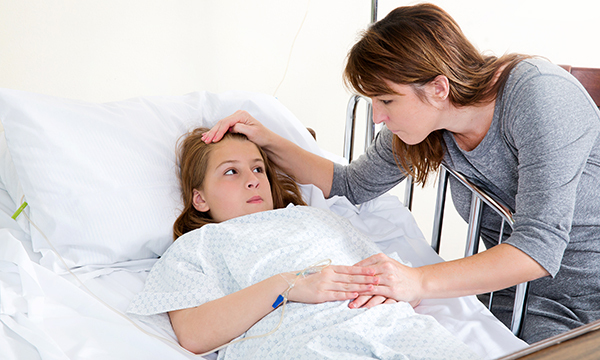 Parents are encouraged and expected to provide physical, psychological and emotional care to their child following day surgery, usually without any prior knowledge. The study aimed to explore and evaluate the impact of an informative pre-operative DVD on parent’s participation and knowledge and on children’s pain, distress and recovery following routine day surgery. A randomised controlled trial (single blind and post-test) was undertaken. Parent-child dyads of children requiring elective ear, nose and throat (ENT) or dental surgery between the ages of three and ten years, in a Canadian hospital, were the primary proposed participants. A total of 123 dyads were included in the study. The experimental group received the DVD intervention and the control group received the standard preparation. Data collectors were blinded to the groups. Parents and children were videotaped at intervals in the recovery room. Several hypotheses were proposed and based the effectiveness of the DVD on parent participation and subsequent impact on the child’s post-operative experience and outcomes. Primary outcome measures were aimed at exploring parent’s participation behaviour. Secondary outcome measures related to parent knowledge acquisition and the effect on the child’s anxiety, pain experience and length of recovery. Parents in the intervention group appeared to provide more positive support to their child and gained greater knowledge. Parents in the intervention group also used more cognitive strategies such as positive reinforcement and distraction than those in the control group. There was no significant difference in the distress that children expressed in the recovery room between the two groups. However, children expressed less pain in the intervention group. The study found that parental participation in the child’s post-operative care in the recovery room can be increased by the use of a pre-operative DVD and this can impact positively on the child’s post-operative experience and pain care. Day surgery, which would have previously resulted in at least one night in hospital, has become more prevalent due to the recognised and accepted benefits of reduced hospital stay for the child and family (RCN 2015). Parental participation in care has been emphasised in child healthcare policy for many years (Department of Health 2004), with the introduction of models such as family-centred care aimed at supporting this process. Yet, parental participation is not always effectively facilitated and supported by nurses (Tallon et al 2015). Parents want to be involved in their child’s care, but require support to do so (Power and Franck 2008). Helping parents prepare for this possibly unexpected and unknown role, offering support following the surgery, is key to ensuring the child’s post-operative recovery is not compromised. This study offered a method of information provision which appears to improve the child’s pain experience. Interventions, especially those that are relatively inexpensive and do not require onerous valuable time input and that have a positive effect on the child’s and parent’s experience of day surgery are worthwhile. It is not clear if the parents were asked to evaluate the DVD. Doing so may provide opportunities to enable parents not only to be involved in their child’s post-operative care, but to develop the resource to further meet their needs, which is in keeping with the primary aim of the study. Department of Health (2004) The National Service Framework for Children, Young People and Maternity Services: Executive Summary. DH, London. Power N, Franck L (2008) Parent participation in the care of hospitalized children: a systematic review. Journal of Advanced Nursing. 62, 6, 622-641. Royal College of Nursing (2015) Day surgery information: Children and young people in day surgery. Tallon MM, Kendal GE, Snider PD (2015) Rethinking family-centred care for the child and family in hospital. Journal of Clinical Nursing. doi:10.1111/jocn.12799.